The absolute majority of the people killed by American UAVs in Pakistan are innocent civilians, claims Pakistani Interior Minister Rehman Malik. If given the drone technology, Pakistan would do a better job, he argued earlier. ­Malik revealed that according to Islamabad's calculations, the number of drone attacks in recent years totaled 336, of 96 of which were launched from Afghanistan. The latest US study claimed that only 2 per cent of drone strike casualties in Pakistan are top militants. The researchers at Stanford and New York University also claimed that the American drone strike policy in Pakistan has not helped Washington achieve its goal of curbing terrorism in the region. The civilian deaths that mark practically every drone strike on terror suspects in Pakistan’s tribal regions have achieved the opposite goal: locals hate the US because of the unceasing fear that death may come from above at any moment. Most of the strikes have been made in North Waziristan province, a militant stronghold against which Islamabad is considering a fully-fledged military operation. 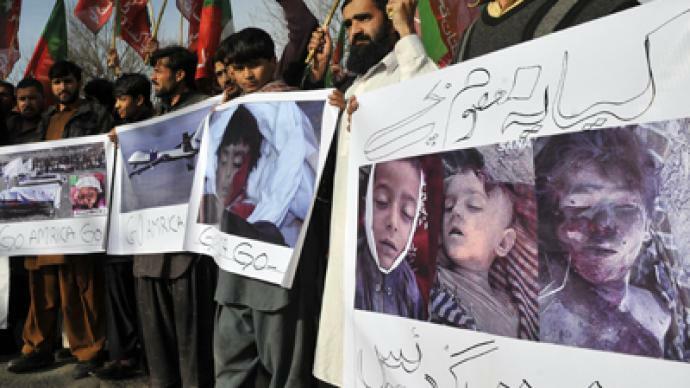 Civilian deaths resulting from the strikes have regularly been met with a harsh public outcry in Pakistan. 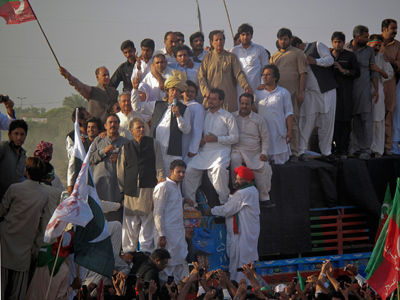 Pakistani authorities have repeatedly demanded that Washington cease conducting drone strikes to no avail. ­In early October, Interior Minister Rehman Malik urged the US to share drone technology with Pakistan, saying Islamabad could put it to better use against terrorism. “They had given us F-16’s, we haven’t used them against India, instead they were used in [the] War against Terror. Now [the] United States should provide drones to Pakistan in order to target militants in areas bordering Afghanistan,” the minister said while speaking at a media briefing at Pakistan’s Embassy in Washington. 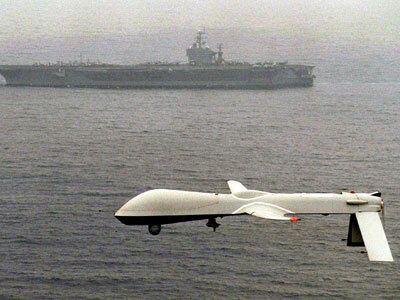 "If we are given drones, we will use them responsibly as we used the F-16s," Rehman Malik is reported as saying. Just like Pakistani Foreign Minister Hina Rabbani Khar before him, Malik also mentioned that Pakistan had no objection to using drones against militants, but that it is the method by which the strikes are made the country disagrees with. Ahmed Quraishi from PakNationalists Forum told RT that Malik’s accusations are “a major blow” to US diplomacy in the Pakistan. “The Americans have been trying very, very hard to convince Pakistanis the drone attacks are actually for the betterment of the country…but I think with this kind of statement coming from a senior Pakistani minister [Malik], this just totally destroys the position of the US from inside Pakistan. I’m sure that the American diplomats at the US embassy here in Islamabad are increasingly applying pressure on Washington and their counterparts, especially at the CIA and the Pentagon,” he said. Quraishi said Pakistan had several viable options to halt drone strikes on its territory, including closing off Pakistani airspace to the United States. “The Pakistani air force and several people connected to [it] have said repeatedly that they have the capability to do this and they are just waiting on a decision from the government,” Quraishi argued. Saying there is no evidence the drone strikes have helped Pakistan cope with its militant problem, Quraishi says the Pakistani military has historically been very successful in conducting anti-terror operations on its own soil. “If we now we see a resurgence of the activity of terrorists, it is because safe-havens on what I would call the American side of the border – which is the Afghan side of the border under the watch of the US army – where these terrorists, who were flushed out by the Pakistani army, are maintaining training camps over there. So I think the Pakistani government now is putting the blame, in a way, on the Americans. And I think that would be the gist of the reports published by the Pakistani media today about the..closed door meeting of the Pakistani military commanders,” he concluded.